The world's best curling players are coming to Jönköping - a unique opportunity to see the highest level of curling in one of the world's most equal sports. Enjoy an exciting event and taking part in the festivities in the city and around the arena. 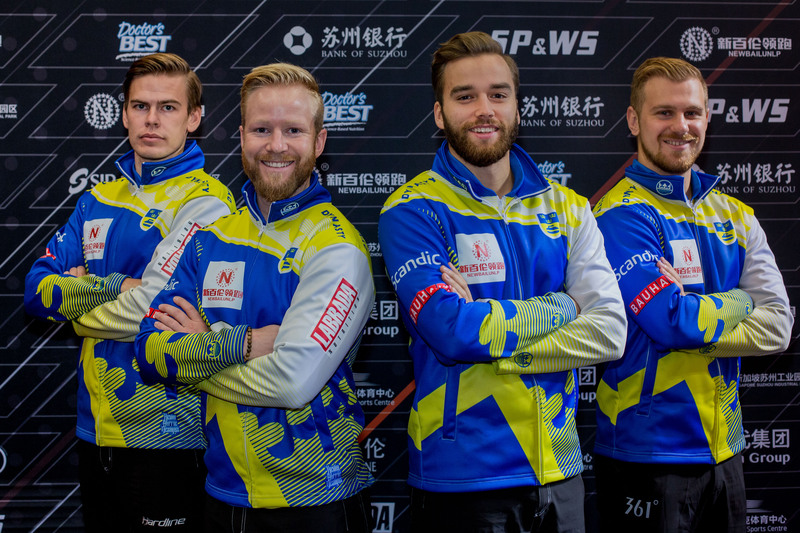 Sweden and Jönköping are organizing the third event in the newly launched "Curling World Cup" 30th of January - 3rd of February, 2019. The world's best curling players will take part and compete for a total of 1.5 million in prize money. Sweden is represented by, among others, the Olympic Games team Hasselborg and Edin. The tournament in Jönköping is the final competition before the finals in Beijing (China) on 6-12th of May. CWC is played in Jönköping Curling hall a unique curling arena that will offer top-level gaming conditions. The address is Mässvägen 8. The CWC is played in three classes, the same as the three Olympic Curling disciplines: Ladies, Men’s and Mixed Double. During four days, 15 rounds of play with 4-5 matches play for each game. At least one Swedish team plays at each game. Day five is finals, then you play one final per game. Click here for game schedule. You can also book a VIP package - "Behind the scenes". The package includes 1 game evening, 2 course dinner at Scandic and Uppsnack "Behind the scenes" with Peja Lindholm and selected curling profiles. The VIP package applies on Saturday (Feb. 2). 17:30 to 22:00. There are eight wheelchair accessible spaces for each match pass. You can reserve a wheelchair space by emailing kontakt@jonkopingcurling.se. Enter name and to which day and match pass you have bought ticket! 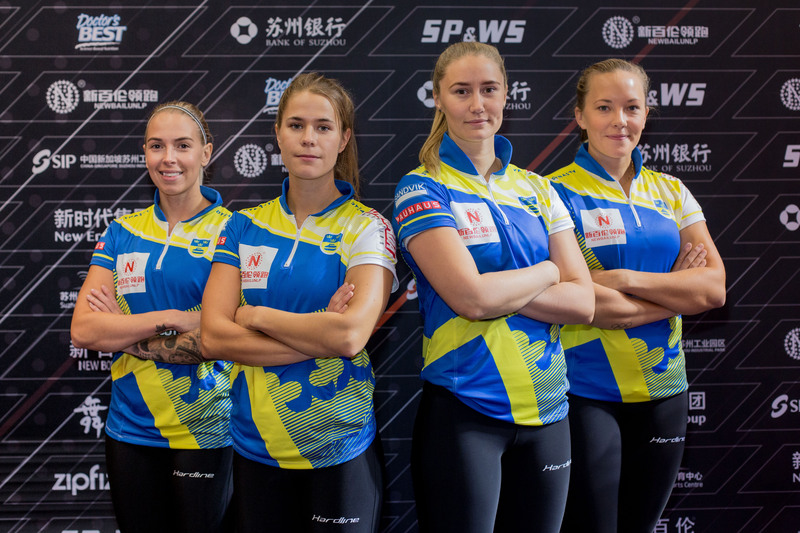 Sweden has a unique position in international curling and is ranked number one for both ladies and men. The team to represent Sweden in Mixed Double is determined by a qualifier in Sundsvall on 16-18th of December. Other teams are taken through the respective national federation. For women, the following countries are qualified; USA, China, Canada, and so on. For men plays; USA, China, Canada etc. In Mixed Double; USA, China, Canada and so on. In Jönköping Center (at Stora Hotellet), the municipality will set up a "Fan Corner" with curling-inspiring activities. In the arena area there is also a "Fan Corner". Here you will find food and drinks and 30 minutes before each game there will be a host introducing the game. You may listen to interviews/ anecdotes from known curling profiles. Scandic Hotell Elmia reserves the right to pre-authorize the hotel. The rooms are available between 9 November and 27 December 2018.
by the Elmia Exhibition & Rosenlundsbadet.